So if we ever started a YouTube channel, our video and discussion themes would be Market Gardening…What NOT to do. 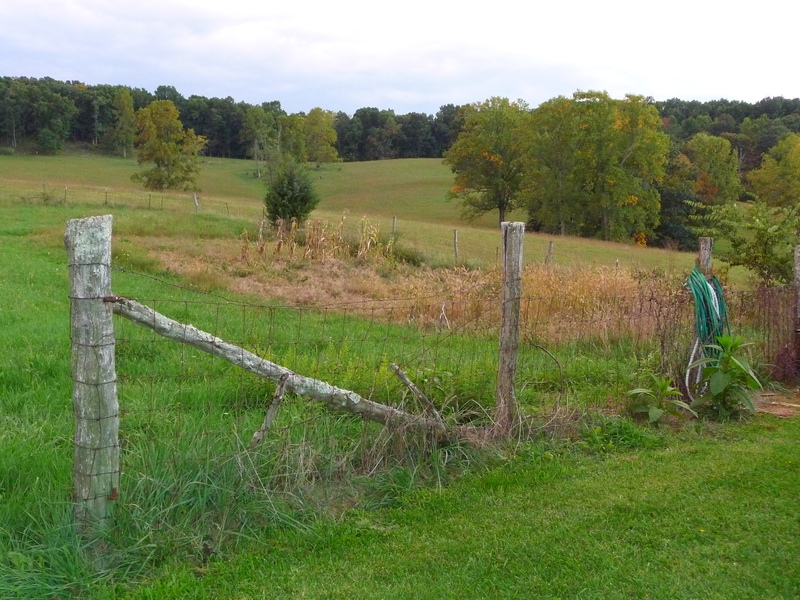 When we bought this farm, it was predominantly pasture. A blank slate of opportunity. We have a passion for great food, cooking, as well as for all things outdoors. The thought crossed our minds about how cool it might be if the farm could generate extra income while feeding us and others. So we broke ground with only a cursory knowledge of backyard gardening (no marketing research, no sales experience, no on-hands market gardening experience and a load of debt to boot). Six years later, we are on our 6th iteration of what we want our gardens to be like. We’ve discovered another farm doing truly amazing things (Neversink Farm) and have bought in to the Neversink philosophy of simplification and standardization (not that we never wanted this, but we are taking the time to devote all our energy to these things for the first time ever). After several years of “seat of the pants” and “do what we can when we can with what we have” farming, we are redoing EVERYTHING to create a standardized system, focusing on ease of management and maximized production. Sounds dreamy doesn’t it? We are excited. After all, we are getting older, and we want to farm as long as we are able to remain upright. All of our planting beds are being remade. For years, we worked off of raised beds that were just made. By that I mean we eyeballed everything and just made the beds. The result? Beds of different widths and lengths despite our best intentions. Now we are flattening everything and making standard beds of 30 inches wide and 50 feet long. The planting beds will be in 30 feet blocks. 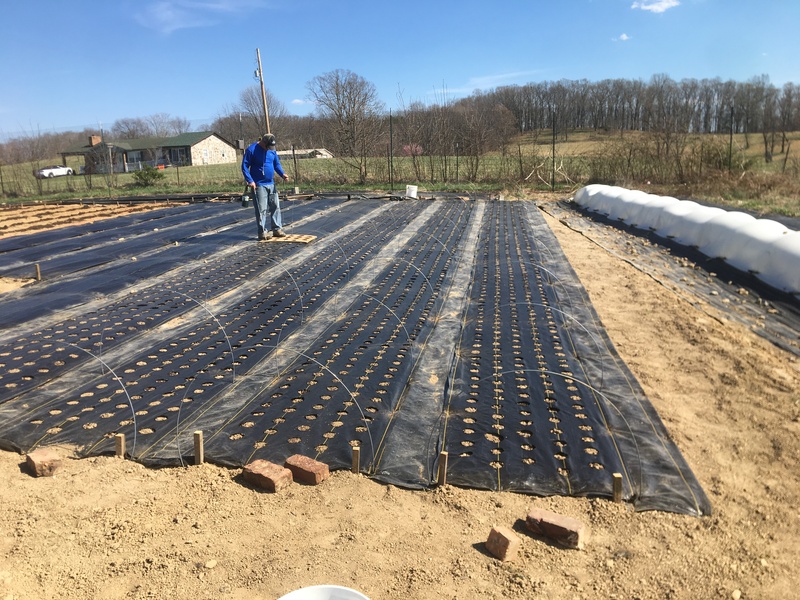 The benefits – the standardization of planting beds will make amendment application simple and less wasteful. We’ll get a better idea (read that as an idea period) of what our production yields are per bed. Easier to instruct others what to do, where to do it, and how to do it if everything is standardized. Additionally, things like row covers will all be the same length and can be used interchangeably between the beds making storage of such items worlds easier. 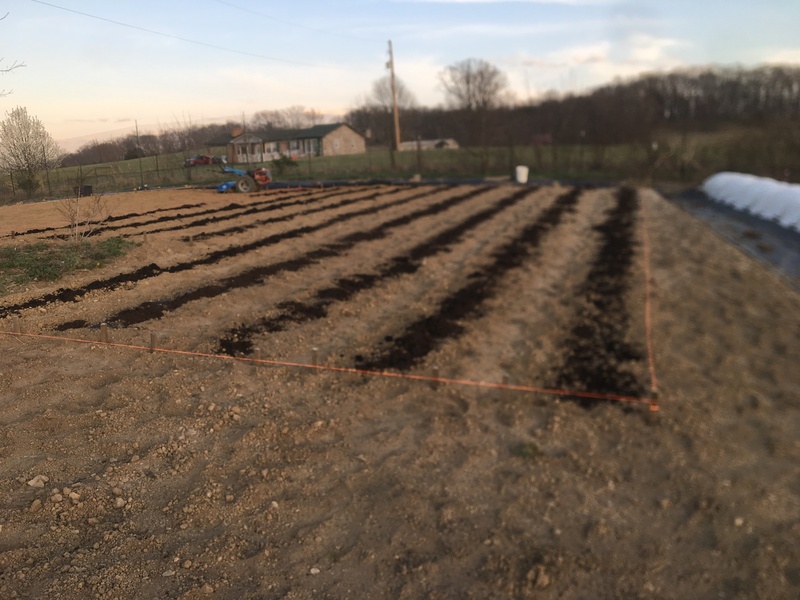 We are still utilizing black fabric especially since the entire garden is being tilled to flatten it out for the planting bed reconstruction. Black fabric may be in our garden plants for a couple or more years due to the fact the garden was previously pasture, is surrounded by pasture, and has a history of weeds. Tilling will disturb the soil and bring weed seeds to the surface. The black fabric will be essential for weed control at least initially. Sure, it is less efficient and will limit yields, but the fabric can be used for many years and will be huge for managing/limiting weeds. The other benefits of the black fabric are that erosion is virtually eliminated, the soil is warmed, and moisture is retained well beneath the fabric. Having 30 feet by 50 feet blocks of planting beds also will help simplify rotations of our crops. Why go through all of this change? Well, because we really want to do things right and do them exceptionally well. Farming does not equal perfection, but it does challenge us to constantly learn and improve. We are excited about the changes although it has been and still will be a lot of work to get all the planting areas redone. Yesterday, we transplanted about 1500 plants into our first block of beds. 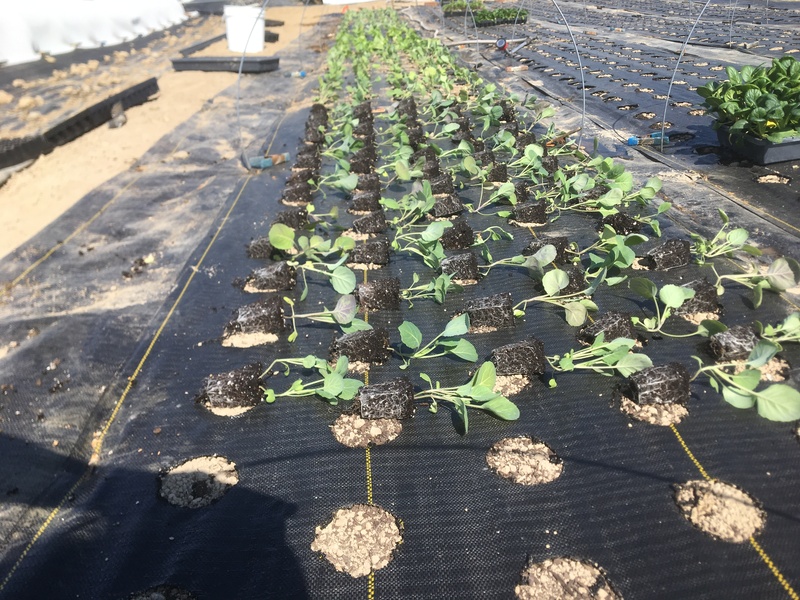 2019 – First transplants going in! These beauties should be ready for harvest in May. Come find us at The Marketplace in Pulaski, VA on Tuesdays starting May 14th or at the downtown Blacksburg Farmer’s Market in Blacksburg, VA starting in May (TBD) on Saturdays to sample these delights and others. We hope to see you soon!